Busting Food Allergy Myths, Plus Our Sweet Alexis Giveaway Winner! Thanks to all who entered the Sweet Alexis bakery cookie giveaway! We had a huge response and after a random drawing, our winner is Chew Chew Mama! Congratulations! 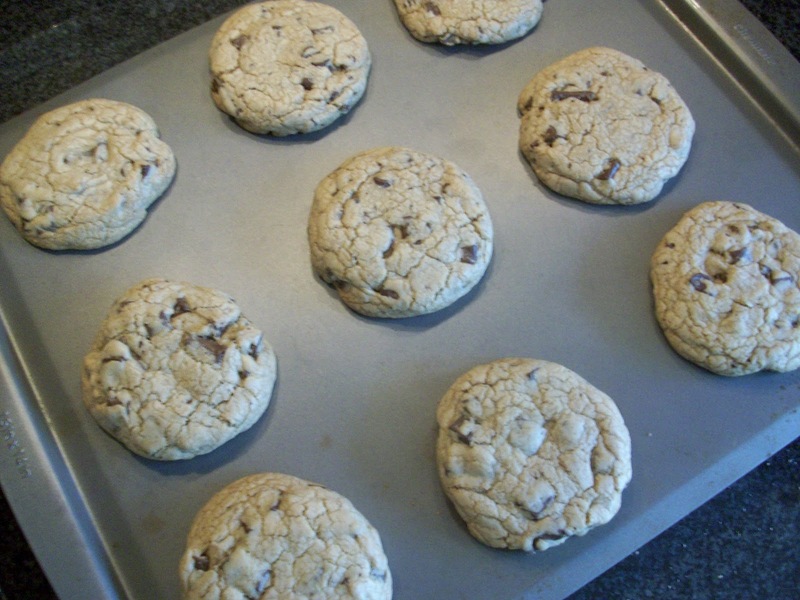 You will receive 30 chocolate chip cookies (peanut-free, nut-free, egg-free and dairy-free). Please e-mail me your name and address at nut-freemom@sbcglobal.net so that we can send you your prize! Thanks to Sweet Alexis for your generous giveaway! For those who didn't win, please check back often for future giveaways and don't forget to visit the Sweet Alexis website to order. It's great to find a place that allows you to treat your family to some allergy-friendly goodies that you didn't have to bake yourself. I wish I could send cookies to you all -- it's wonderful to have such great readers who support each other and share their knowledge. Yesterday I asked my Nut-Free Mom Facebook readers to open up about the food allergy "myths" they've been confronted with when trying to explain food allergies to others, including how to keep allergic people safe. Based on the large number of responses, it seems that food allergies remain a largely misunderstood condition, despite the increased level of awareness and media attention. Food allergy myths are more than just occasionally annoying--they can be dangerous because if misinformation persists, it can endanger a life. Myth 1: Food allergy and food intolerance are the same thing. Food allergy differs from an intolerance (such as celiac disease, i.e. gluten intolerance or lactose intolerance) in that a food allergy reaction creates an immediate and sometimes full body response that can be life-threatening, also known as anaphylaxis. An intolerance can cause serious health problems, but won't result in the emergency situation that anaphylaxis creates. Myth 2: People with food allergies are simply "picky eaters" who don't enjoy eating. Food allergies are not a food preference, they are a medical condition that can cause death. People who avoid certain foods due to food allergies are doing so for medical reasons. Food-allergic folks enjoy food just as much as anyone; the caution they exercise about some foods is due to necessity, not choice. Myth 3: Giving small amounts of a food allergen to an allergic person at home without a doctor's supervision will cure them of the allergy. NO! Please don't try this at home. Much media attention has been given to clinical research studies and trials that are trying to build up subjects' immunity to certain food allergies such as peanut allergy by introducing small amounts of food allergen. Participants in these studies must meet very specific criteria that is evaluated by an allergist. Plus, some people have reacted severely during these studies even though others have shown improvement. Currently, there is no widespread, FDA approved treatment for food allergies although research has been growing rapidly and experts hope to have a cure in the not-too-distant future. Food allergies don't hamper physical strength. Because asthma and food allergies sometimes go hand in hand, athletes with these conditions will have to follow treatment and other protocols, but their abilities are not altered. Myth 5: Children with food allergies will always outgrow them. Recent research has shown that young adults are outgrowing food allergies less than was previously believed. While not impossible to outgrow them (speak to your doctor), the following allergies tend to be lifelong, especially if they are severe: peanut, tree nut and shellfish allergies. Emphasize to caregivers that whether your child outgrows the allergy or not, they have it right now and current precautions need to be maintained. The future may bring something different but we have to live in the present. If you encounter these myths or others, take it as an opportunity to educate your circle of family and friends about food allergies. Many people are trying to be helpful or comforting (not always, I know, but if you don't know, give them the benefit of the doubt), so keep that in mind. If you keep a cool head and state your facts, you are helping to raise food allergy awareness and education, one person at a time. Nut-Free Cookie Giveaway: Sweet Alexis Chocolate Chip Cookie Pack! The nice people at Sweet Alexis nut-free, dairy-free and egg-free bakery have offered Nut-Free Mom blog readers another chance to win delicious baked goods. This time, it's a really generous giveaway--a 30-pack of chocolate chip cookies! This is perfect for family parties or any extracurricular events where you are required to bring a treat. One quick note about: the cookies in this giveaway are peanut-free, tree nut-free, egg-free and dairy-free. If you have other allergy concerns besides those listed, these may not be right for you. To enter the giveaway, simply comment in the comments box below. Please give us your name and first initial--after a random drawing, the winner can send their contact info privately. This contest will close on Wednesday night at midnight. Check the blog or my NFM Facebook page to find out the winner! My family loves Sweet Alexis baked goods and have enjoyed these homemade-tasting chocolate chip cookies in the past. You won't miss any of the eggs or dairy--these are rich, chewy and truly wonderful cookies. Even if you don't win, I hope you'll check out some of this bakery's other items such as Banana Bread, Zucchini Bread, Mother's Day Cookies and more. 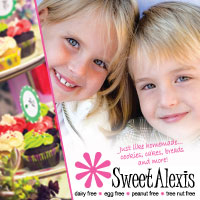 Plus, Sweet Alexis supports the food allergy community through advocacy and involvement, as well as by providing quality nut-free, egg-free and dairy-free goodies. Good luck! Thanks to Sweet Alexis for another great giveaway opportunity for Nut-Free Mom blog readers! Having nut allergies means having to avoid most bakeries (unless they are nut-free). That's why I love this recipe: it's really easy, uses Enjoy Life Foods Semi-Sweet Chocolate Mega-Chunks (nut-free, soy-free, dairy-free--top 8-free!) and the end result is cookies that look and taste like you got them from a bakery. No, they're better. 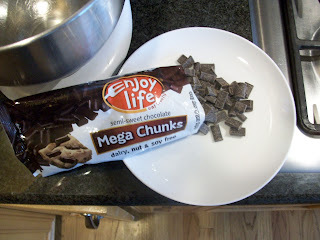 Enjoy Life Foods Mega-Chunks are one of the most awesome products to ever enter the marketplace. You simply can't find chocolate chunks at the supermarket that are nut-free. These are so flavorful and they taste delicious. The following recipe is peanut-free and tree nut-free only, but the back of the Mega Chunks has a great gluten-free and vegan (dairy-free, egg-free) "blondies" recipe. Any recipe you've been using for allergy-friendly cookies for your specific needs would probably benefit from the addition of these chocolate chunks. The recipe below is a modification of one I was given years ago. It used vanilla beans and walnuts--I am adding more chocolate chunks in place of walnuts and vanilla extract instead of the vanilla bean. But if you wanted to do that: Take one vanilla pod, split it and scoop out the contents and add it to the dough right after the egg. I would really recommend using the ELF chocolate chunks in this recipe, since it's a big cookie and it just brings it to a higher level! But a regular-sized chocolate chip works, too. In a medium bowl, blend dry ingredients (except for chocolate chunks) and set aside. Using a standing mixer with paddle attachment, blend butter and sugars at high speed until creamy. Lower speed; add egg until blended, then vanilla. Add flour mixture in thirds at low speed. Mix in chocolate chunks. 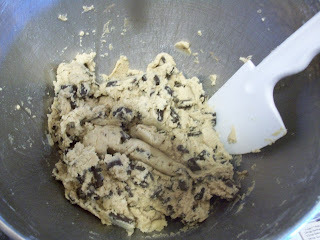 Using a 1/4 cup measure, scoop dough into balls and flatten them slightly on ungreased cookie sheet. Place the dough at least 2 inches apart. Bake 10-12 minutes until cookies are set and golden. Leave on sheet one minute, then remove to wire rack to cool. Store in a tightly-covered container. Your kids (and you) will love these! Don't feel like baking? I have a cookie giveaway from a nut-free bakery that is coming up. Check back soon for more details! I know we are getting ready for summer, but if you are sending a child with food allergies to a new school next year or even updating your information at your current school, now is the time to get the ball rolling. We received pre-registration forms a week ago from our school district; some of you might have gotten the same. I've learned the hard way: if you wait too long school offices are closed and doctor's office appointments are filled. Sending a child with life-threatening food allergies is stressful enough -- who wants to be shut out of school offices and unable to get in to see the doctor? You might be wondering what you can do for next year while schools are focused on wrapping up the current year. The answer is: a lot more than you think. If you are new to a school or a district, you might need to do some fact-finding. For example, what is the school's policy regarding food allergy management? You'll want to know the rules for lunch time, snack time (if they have one), parties and field trips. Finding this out now is important because you can anticipate what areas will need the most care and attention from you. If you are brand new to the school or district, you will also want to introduce yourself to the school principal and the district nurse. 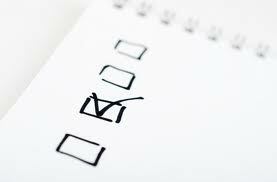 You may discover that you will need to set up a meeting just prior to the school year or complete extra medical forms. If they don't know about you in advance, you could miss out on these important communications so it's a good idea to check in and see what you need to do. They may tell you that this will be taken care of in August, but it's a great idea to get in the loop and onto the school administrators' radar well before then. Depending on the district and your child's needs, some parents may decide that they would like a 504 Plan for their child. These can take a long time to complete, so start finding out what your district requires on your end. A good place to begin is with a call to your district's special needs coordinator. You can find out some more information on 504 Plans by following this Food Allergy Initiative link that provides excellent and detailed information. In addition to basic registration forms, most schools require several additional forms completed for any child with a chronic medical condition. Our school requires separate forms for asthma and allergies; your school may want specific and/or extra medical documentation especially if you are requesting allergy-free eating areas in the cafeteria or you would like your child to carry their epinephrine auto-injectors with them during the school day. So even though we all have summer fun on the horizon, if you do your homework now, you not only get a more peaceful summer break, you get a smoother school transition in the fall. Sounds good to me! Food allergies and field trips: this combination can be an occasion for worry, especially if your child has severe food allergies. With the advent of spring, an increase in field trips are on the agenda for many of our schools, but that doesn't mean that your child can't safely participate. I've chaperoned many field trips over the years and I've learned a lot about avoiding potential food allergy field trip pitfalls. Even if you can't personally attend the field trip, you can still take steps to create a safer experience. As your child gets older, they will take on more of the responsibility to stay safe on field trips, but younger kids are always going to need an extra boost from the adults. Here are some things that have worked for me. Get the field trip schedule well in advance. Your child's teacher should be able to provide you with this info, so be sure to check in and ask if anything is coming up. That way, you'll have plenty of time to prepare. Show them you are a parent who cares by speaking to the health office and/or nurse. Checking in with the health office (or nurse if your school is lucky enough to have one) is a must. Give a call to speak about medications and review emergency procedures. When my child was in first and second grades, I called a few days before and on the morning of each field trip, too, just to make sure everybody was on the same page with medication, etc. By the third field trip the school nurse told me she had all the info ready for me because she expected a phone call (she was very nice about it.) I don't think being a bit of a pest is a bad idea, especially as you establish yourself at a school. You want them to know you are on top of the situation, so never be afraid to show that you are a parent who cares. Identify an adult helper. If you aren't a chaperone, you'll want someone to keep an extra watch on your child. It could be the teacher, another parent chaperone who knows your child or a health aide, whoever has the time and know-how about keeping your child safe. This person can give your child hand wipes (be sure to pack some for your child) after interactive museum exhibits, for example, and secure a clean spot to sit at lunch, preferably away from your child's food allergens. Discuss food allergy "hot spots" with the helper such as shared equipment or "touch" exhibits; before lunch, after lunch and after using shared equipment with other students. Be a brown bag lunch expert. Many times, kids are not allowed to bring a lunch box on their field trip. (If this is really an issue, speak with the teacher. Usually you can get an accommodation for food allergies.) You will want to pack some paper towelling that your child can use as a place mat at the table, to protect their safe food from any allergens left over from previous lunch-eaters. What if your child really wants to brown-bag it? Keep your child's cold lunch foods cold by using the old frozen juice box trick: freeze a juice box and use it to keep a turkey sandwich or pasta salad cold; as the day wears on, the box will thaw and the food still stays fresh. If your child likes them, peanut butter substitutes such as SunButter are helpful for a brown bag lunch, too. Just make sure that your teacher knows it's not peanut butter--I labeled my daughter's sandwich when she was younger. SunButter also makes individual packs so that the label is there for everyone to see. Have your child eat lunch in view of the teacher. Many allergic kids will get an "honor spot" next to or near to the teacher at lunchtime so that the teacher can easily keep an eye on them. Go over the safety basics with your child. Even young kids can learn to wash their hands before eating and say "no" to foods that they aren't sure about. Make sure that your young child understands that they should find an adult right away if they are having any difficulties; emphasize that they shouldn't keep to themselves or go hide in a bathroom stall if they feel ill. Role playing situations with your child will give both of you confidence. Although caution and common sense is required, most field trips will go off without a hitch, so be sure to encourage your child to enjoy themselves while also staying safe. Field trips can be wonderful, but a certain amount of chaos will always reign. Being prepared and going over the safety procedures before hand is a huge step in making sure your child's field trips are safe AND educational. How about you? 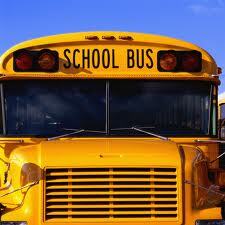 What field trip tips have you found to be the most successful? "Feeding Eden," by Susan Weissman is a new memoir that speaks to the heart of what it means to parent a child with severe food allergies, everything from finding safe foods to exploring medical care, and ultimately, learning to live with your new normal. When her young son Eden is diagnosed with multiple food allergies (peanuts, tree nuts, dairy, soy, eggs, fish, shellfish and several fruits), a new world of complications and parental fears are awakened for Weissman and her family. Ms. Weissman shares with us the terror of watching a child having anaphylaxis, the fears of what dangers he may face during "normal" activities like school and birthday parties and many other things that only food allergy parents will recognize as their own experience. So much in this book is validating for the food allergy parent, who is often ridiculed or taken to task for their cautious approach to what others think of as harmless activities. Says Weissman in her book, "When I break from routine, there is always a risk particular to Eden. Whether I hire a new baby-sitter, purchase a new brand of tortillas, or plan a family day trip by ferry, I chance the unforeseeable." Well said and truly understood only by another parent facing food allergies. In a warm, humorous and engaging style, the author explores her family's struggles and ultimate triumphs in a way that really spoke to me as a parent who faces the same concerns. I appreciated Weismann's honesty about her battles, some of them quite poignant and some very humorous, such as her experiments with allergy-friendly baking (not always successful and joy-inducing). She even takes on those "surprise" classroom treats that are the bane of a food allergy parent's existence in a story that will have you laughing and maybe even crying if you've ever had to deny your child "what all the other kids are eating." And what about food as love? When you have a child with multiple food allergies, this can seem impossible, yet Weissmman describes coming to terms with this notion, despite her son's many allergies: "Loves comes out of my hands when I cook...my food safety habits are my love." I must share one other note about the author. 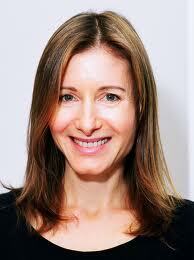 A few years ago, Ms. Weissman wrote a terrific guest blog post for "The Nut-Free Mom." Here is the link: it explores the ups and downs of how she found a "safe" restaurant for her son. Any parent of a child with life-threatening food allergies will find much to savor in "Feeding Eden." If you want more information on author Susan Weissman including how to buy her book, visit her author web site. Easter is this Sunday and for those of you who are looking for allergy-friendly candy, you'll be glad to know that there are more choices in stores than I've seen in past years. For this post, I've chosen only to feature the candies marked as 100% nut-free and allergy-friendly for many food allergies, just because right now there isn't a lot of time to second-guess manufacturing processes, etc. And luckily, for the following candies, we don't have to. Plus, the following candies are all gluten-free. First up, one of my favorite gummy candies is Surf Sweets (pictured). Free of GMOs, organic, and free of the top 8 food allergens. You can find these at Whole Foods and other specialty food stores. Go to their web site to find stores. My kids clamor for these--they are really tasty! Adults love them, too. While you are at Whole Foods, go to the candy bar aisle and pick up Boom Choco Boom Bars from Enjoy Life Foods for the chocolate lovers on your list. This is dairy-free, nut-free chocolate that tastes great AND is it free of the top 8 allergens. The candy is made in a dedicated, free-from facility. What would Easter be without jelly beans? Recently, we featured Gimbal's jelly beans in Allergic Living magazine and I am a huge fan! You can find them at Wal-Mart and some other supermarkets. Fun, colorful, tasty and free of the top 8 allergens, these are made with natural ingredients and come in 41 delicious flavors. Divvies nut-free, egg-free, dairy-free (and gluten-free) candies are another Easter staple and best of all, they are now available in select supermarkets and specialty food stores including Wegman's. Go to the Divvies web site for a store locator; you can also order online. You can find so many good things at Divvies including chocolate bunnies and rock candy. Finally, if you are still poking around Whole Foods, don't miss Yummy Earth organic gummy candies and lollipops. 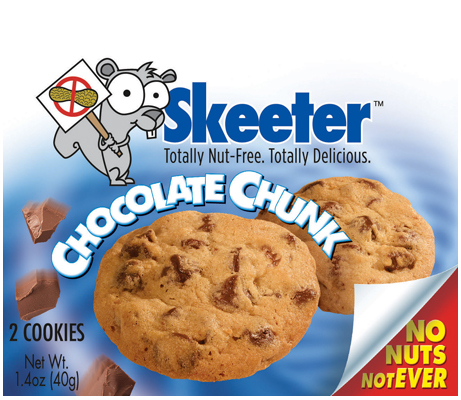 These are free of high-fructose corn syrup and free of the top 8 allergens. Right now, Whole Foods has mini packs of the gummy bears (at our store, they were on sale this past weekend! ), perfect for the Easter basket. Not personally dealing with allergies, but looking to bake nut-free for someone else? The Nut-Free Mom Blog Is an Award-Winner! If you have medical questions, please contact a qualified doctor. For specific product questions, call or e-mail companies directly for the most up-to-date information. Thanks! The information on this site is not intended to replace professional medical advice and/or care. Always consult your allergist with any questions about medications, epinephrine autoinjectors, allergy testing, foods you should avoid, allergic reactions or other medical issues. Thanks! The Nut-Free Mom and "Raising a nut-free kid in a nutty world" are copyrights of The Nut-Free Mom blog. All rights reserved. No part of this blog can be reproduced without author permission. The Nut-Free Mom blog name is protected; thanks for not using it when naming your blog. As product information and manufacturing processes change, the consumer maintains responsibility for ensuring any product mentioned on this page is free from any or all allergens that pose a concern. If you have questions about foods you see mentioned here, please contact the companies directly for more info.